Arrive Safe Society of Chandigarh, the NGO which was behind the plea for ban of liquor vendors on state and national highways across the country, on Thursday moved Supreme Court against the dismissal of its petition by Punjab and Haryana High Court challenging the notifications issued by Chandigarh Administration denotifying some highways. The organization through its President Harman Singh Sidhu, has alleged that to bypass Supreme Court's December 15, 2016 order banning liquor vends in national and state highways, the Chandigarh administration has brought the notification on March 16 this year. The NGO's counsel Ravi Kamal Gupta told the Chief Justice of India (CJI) J S Khehar's bench that it was to bypass the court's ban order. Justice Khehar who hails from Punjab and aware of the highways connecting to Delhi and Chandigarh, said it is the issue of money. State wants money for which they denotified the highways .Let's see the progress. The bench posted the matter after court's summer vacation. The Punhab and Haryana High Court had dismissed petitioner’s challenge holding that petitioner could not cite any law which has been violated while issuing the impugned notification dated 16.3.2017, redefining the nomenclature of various roads in the City. It is only earlier notification versus the second notification. No standard guidelines have been referred to in support of the plea. “As regards drunken driving, it has specifically been claimed that drunken driving is regularly checked in the City with setting up of regular check post/ nakas, especially at late evening times. The teams are equipped with breath analyzers. Special check posts are formed on all major roads. CCTV cameras have been installed at busy junctions. Surprise checking with alcometer is conducted during nights on regular intervals. As a result of strict enforcement of traffic rules and 9 of 10 checking of drunken driving, the Administration has been able to prevent several motor vehicular accidents in the City”, said the High Court. 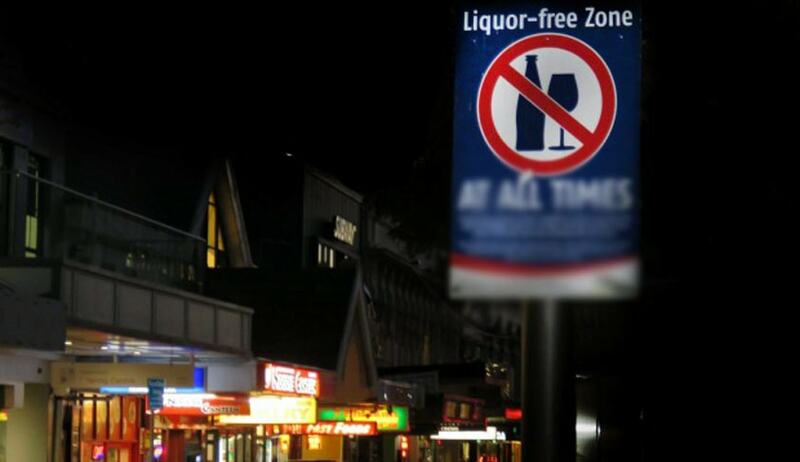 (v) No shop for the sale of liquor shall be (i) visible from a national or state highway; (ii) directly accessible from a national or state highway and (iii) situated within a distance of 500 metres of the outer edge of the national or state highway or of a service lane along the highway. (vi) All States and Union territories are mandated to strictly enforce the above directions. The Chief Secretaries and Directors General of Police shall within one month chalk out a plan for enforcement in consultation with the state revenue and home departments. Responsibility shall be assigned inter alia to District Collectors and Superintendents of Police and other competent authorities. Compliance shall be strictly monitored by calling for fortnightly reports on action taken. (vii) These directions issue under Article 142 of the Constitution. On 31st March, Supreme Court partially relaxed some conditions on banning liquor vends along national and state highways only for small towns with population less than 20000. In such places no vends will be allowed within a distance of 220 metres from the highways. The earlier distance limit was 500 metres.